Innovation, comfort, performance and safety are the four components that engineers and designers have to mix to create this great boat. Take to the water for unadulterated fun in the sun for up to eight people. It strikes the perfect balance between sun lounge size and cabin comfort with spacious sundeck and a good cabin height. 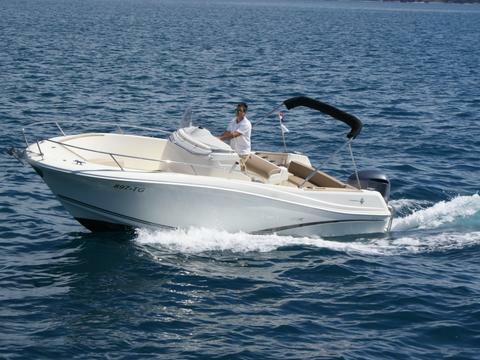 This elegant vessel is strong and powerful boat which will provide to you safe and comfortable ride even through the rough seas.